Multi-point Connection: Can connect up to 2 smart phones or tablets to the speaker and take turns playing powerful stereo sound. 3000mAh Battery: Built-in rechargeable Li-ion battery supports up to 12 hours of playtime. Just enjoy wireless music all day long. 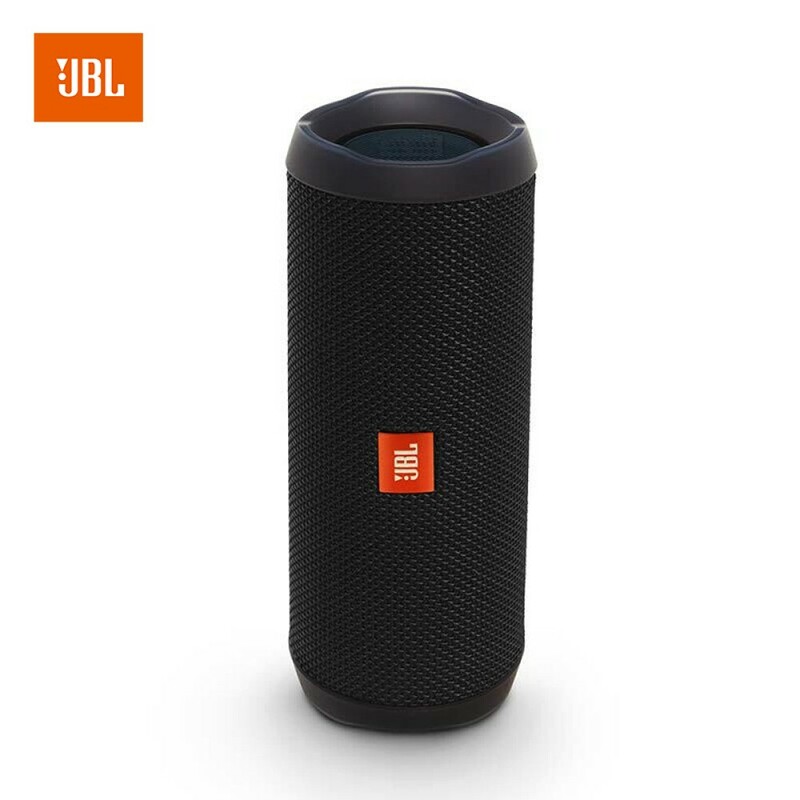 JBL Connect+: JBL connect+ allows you to link more than 100 JBL connect+ enabled speakers together to amplify the party atmosphere. IPX7 waterproof: IPX7 waterproof means no more worrying about rain or spills; you can even submerge flip 4 in water. Bass Radiator: Hear the bass, feel the bass. Dual external passive radiators demonstrate just how powerful your speakers is.